Ian and Debbie Concessio have been in the business for 39 years, enthralling audiences with their upbeat performances and musical talent in India and abroad. Ian has had solo shows as a vocalist and guitarist in various genres — pop, light jazz, country music, Konkani, Bollywood, retro, Portuguese or Latin — as a duo with his wife and singing sensation, Debbie, and in a band, whether it’s been for small gatherings like birthdays and cocktails or larger events like corporate shows and exhibitions. 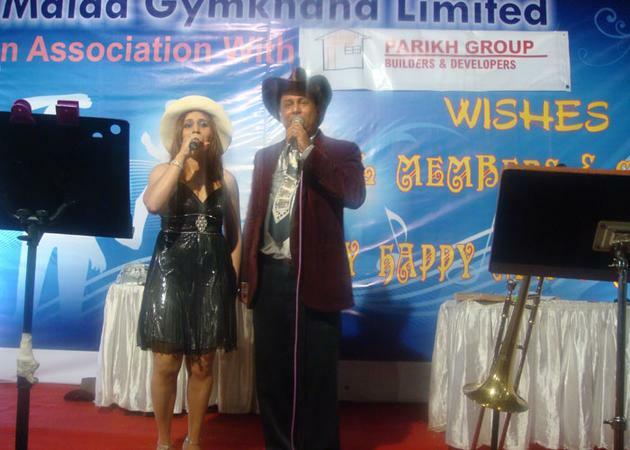 Ian Concessio is a wedding entertainers orchestra based out of Mumbai . Ian Concessio's telephone number is 76-66-77-88-99, Ian Concessio website address is http://ianconcessio.com/, address is Flat No. 7, Loyal House, St Peter Housing Colony, 31, Pali Road, Bandra (W), Mumbai. Ian Concessio is mainly known for Entertainment Services. In terms of pricing Ian Concessio offers various packages starting at Rs 15000/-. There are 0 albums here at Weddingz -- suggest you have a look. Call weddingz.in to book Ian Concessio at guaranteed prices and with peace of mind.